Can Apple save print journalism? That’s the question in our minds upon learning the parent company of USA Today has hoarded thousands of iPhones and iPods to provide newsrooms in January. The aim is to help journalists focus on a faster news cycle, including increased use of video to tell stories. The report comes from Gannett Blog, which obtained a memo saying Gannett will distribute the iPhone 4Ss, iPad 2s, as well as netbooks and MiFi hotspots to newsrooms in January 2012. Training for the devices is expected early next year. “These new tools will help our journalists meet the demands of the new news cycle, one that requires agility in real-time reporting, social media and greater emphasis on video storytelling, further increasing our competitive advantage,” the memo from Gannett President Bob Dickey reads. The Gannett Blog is an unauthorized peek into the newschain written by a USA Today editor and read by staffers and executives. In anonymous comments, the report drew skepticism that the company’s roll-out of Apple technology could help the overall newspaper industry. 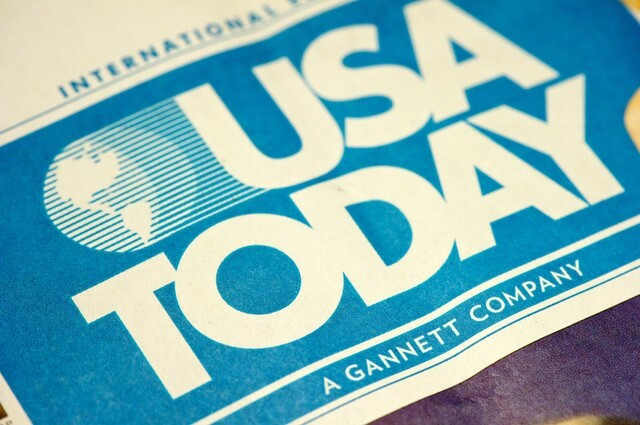 Gannett has recently put greater emphasis on the digital side of publishing. A Gannett Digital official recently said the company earns advertising buck by placing ads in videos.